Aspen Connect’s 9th Networking Event, Outback to Aspen: One Woman’s Remarkable Journey was a conversation with Janie-Joseland Bennett and her daughter Eleanor who shared stories in the intimate living room of Caribou Club from their month-long journey traveling back in time to record Eleanor’s upcoming podcast, The Questions I Never Asked, a biography on her mother’s remarkable childhood spent living on a cattle station situated alongside the Pitjantjatjara Aboriginal community in the remote Australian outback. Eleanor is an independent podcast producer and radio journalist. She was captivated by the medium while interning at Aspen Public Radio. From there, she moved to New York, where she covered issues of climate justice and women’s empowerment for SiriusXM Radio. Eleanor recently finished a project interviewing hundreds of New Yorkers from all walks of life for an audio-visual installation by the photographer/street artist, JR, which will be featured in the Brooklyn Museum next Fall. 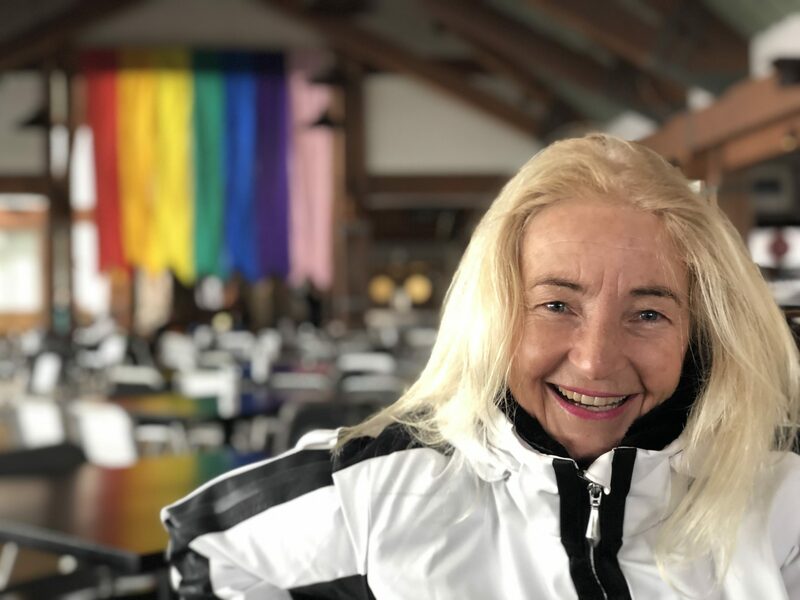 With no exaggeration, Janie Joseland Bennett has lived a unique life. The daughter of an Australian film star and a rugged, pioneering cattleman, she was raised in Australia’s remote outback as the sister to three older brothers. Growing up, her primary playmates were the children of the Pitjantjatjara tribe, who lived on the vast-land with her family and whose ancient language she spoke fluently. She was destined for an unorthodox journey! 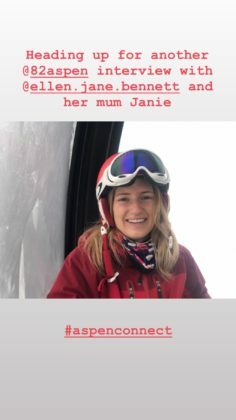 Janie won an Australian equestrian championship (beating a field of men decades older), trained international polo ponies, and eventually traded in her little egg-yellow car to buy a round-the-world airline ticket. As a just-arrived 20 year-old in New York City, she landed a job with Fashion Week icon Fern Mallis. Later, in Aspen, she worked with acclaimed National Geographic photographers and launched Photographers Aspen, their international photo agency. Along the way, she was a contributing force behind the Oscar-winning film, Born Into Brothels, among other global photo projects. 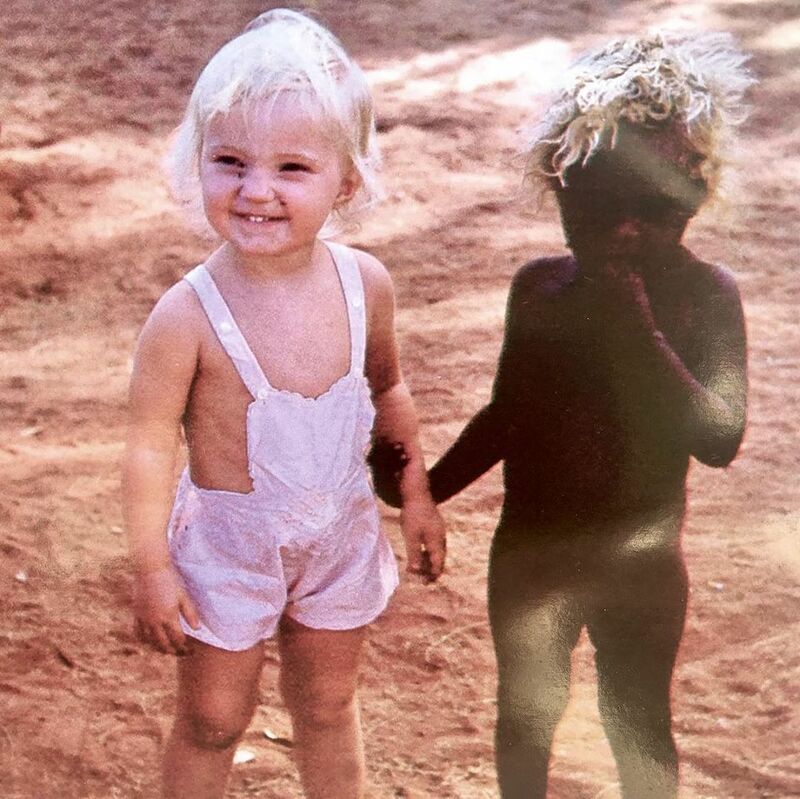 Janie Joseland on her family’s cattle station at Mimili in 1964 with her childhood friend, Biddy. 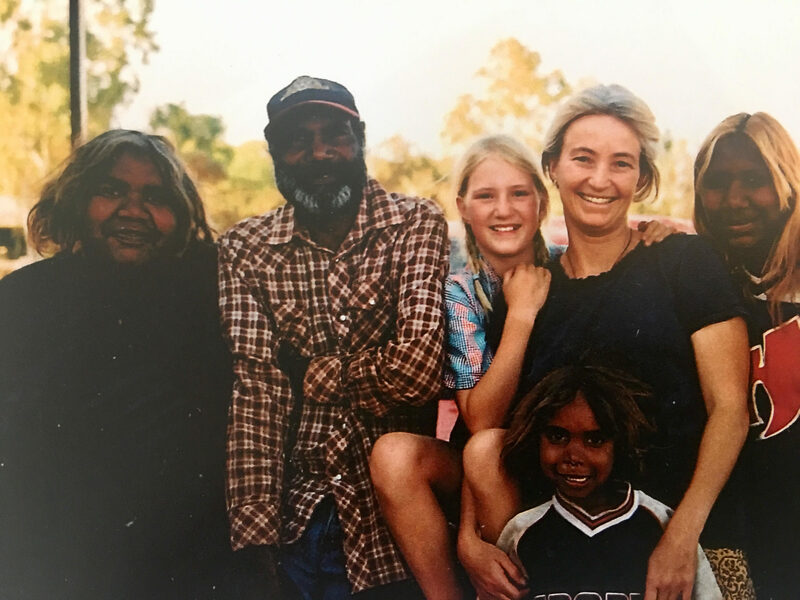 Janie Joseland and her 10-year-old daughter, Eleanor reunited with Janie’s childhood friend Willie and his family in the Australian outback. This was the first time Janie brought her daughter back to Mimili, the Pitjantjatjara community she grew alongside. The story begins with Janie’s childhood growing up on a cattle station alongside the Pitjantjatjara Aboriginal community in the remote Australian outback. Elise Fitzsimmons will be moderating. Elise is the Publisher and Co-Founder of Unearth Women and former Membership Director for Aspen Public Radio. Unearth Women is the first feminist travel magazine created by women, for women. 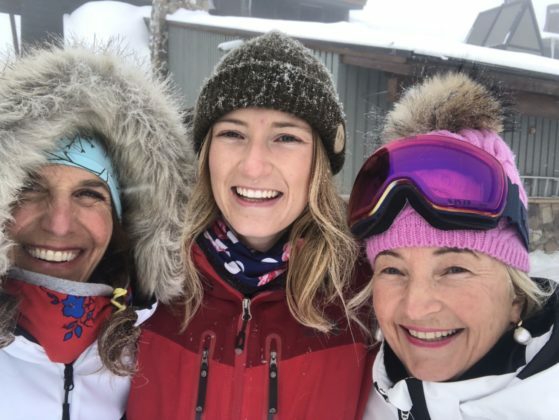 Caribou Club, Aspen’s legendary private club, is the host and co-sponsors of the evening and will be serving wine and beer and delicious appetizers. Dragonfly Jun Kombucha will be on tap. Before and after the conversation guests are encouraged to mingle and connect. 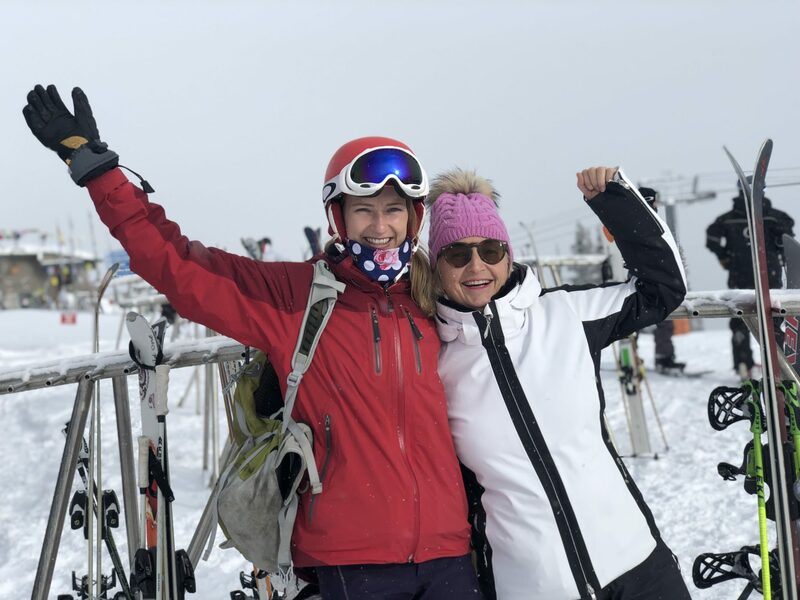 Guests ticket included entry to win a Majestic Heli Ski 2-day Heli ski experience including 1 night of lodging and a retail/bar gift card – total value of $3,000. At Aspen Real Life we are Roaring Fork Valley liaisons, connecting people together and promoting individuals and businesses via multiple media outlets. The Aspen Connect networking events we produce connect the business professionals and individuals of the Roaring Fork Valley closer together through conversations revolving around humanity and connecting held in intimate settings. It is our mission to provide platforms and share the voices of those who live abundantly not by wealth, but rather by serving others, our planet … and ultimately ourselves. 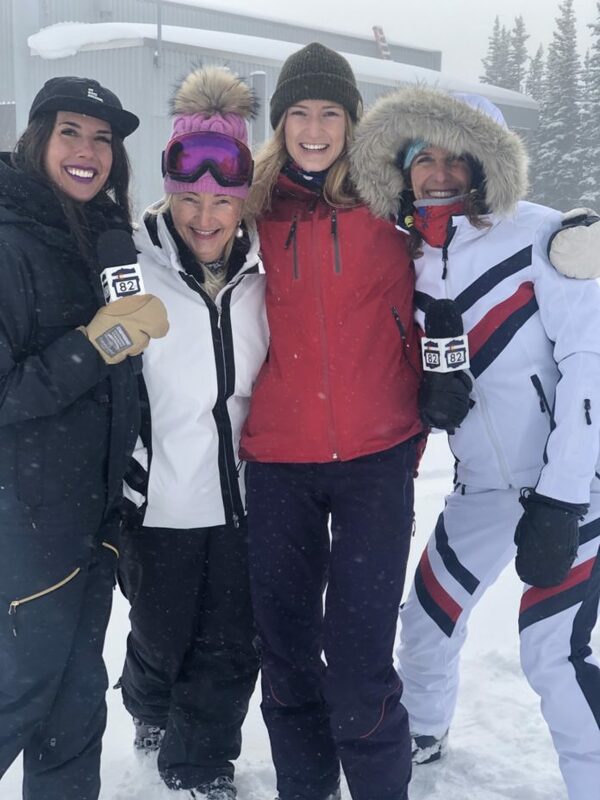 In 2018 eight monthly Aspen Connect events were held back to back to sold out houses at the following venues: St. Regis Aspen, Aspen Chapel, Grey Lady Aspen, Aspen Kitchen and Marble Bar Aspen. The multitude of testimonials that have come in have shown that these conversations have inspired and helped to connect our valley closer together and incredible collaborations being made. 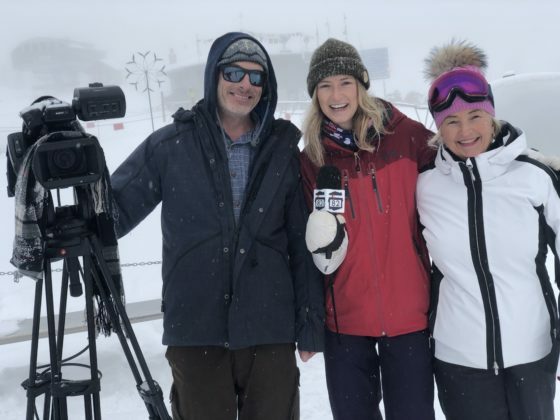 Aspen Real Life brings in over 30K monthly engaged followers and positively impacts our community by supporting, promoting and growing ideas, individuals and businesses through the creation and distribution of content. Panel Discussion Speakers from prior events include; Rod Stryker, founder of ParaYoga® and the author of The Four Desires: Creating a Life of Purpose, Happiness, Prosperity, and Freedom; Executive Director of Lead with Love, Gina Murdock; Aspen Chapel Minister Nicholas Vesey; Neshama Center Aspen Rabbit Itzhak Vardy; Chef C. Barclay Dodge, Chef/Owner of Bosq; Woody Tasch, Founder of Slow Money, Author and Visionary; Brook Levan, Co-Founder and Executive Director of Sustainable Settings, Jerome Osentowski, Founder and Director of CRMPI (Central Rocky Mountain Permaculture Institute), and Eden Vardy, Executive Director & Co-Founder of Aspen Tree and The Farm Collective; Susan Brady, Founder of 2Forks Club; John Ward, ANB Mountain Region President, GlenX Executive Director, Mike Lowe, and Founder, Altai Chuluun; Michele Cardamone of Michele Cardamone Photography; Sue O’Bryan, Interim Executive Director of Alpine Legal Services and Partner at OSCLM; and Gina D’Orazio Stryker, Founder of organic, non-GMO Gina Cucina Soups. 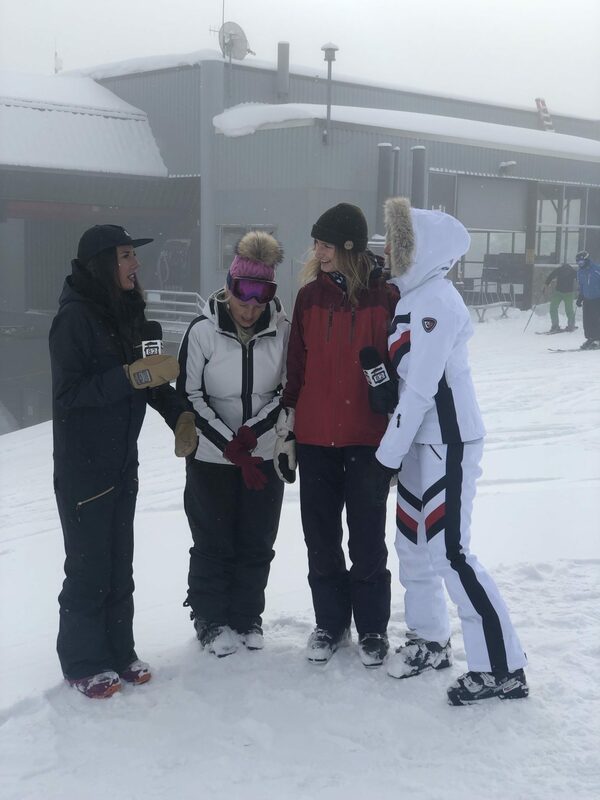 Thank you so much Aspen 82 for the interview!